Saturated fatty acids, such as sunflower and corn oils, and polyunsaturated Omega-6 fatty acids are also important in the structure and function of nerve membranes, but are abundant in most Western diets; in fact often too abundant in many people’s diet today. In contrast, the poly-unsaturated Omega-3 fatty acids are often deficient, especially DHA, the primary fatty acid in the brain controlling neural signaling and receptor activity. 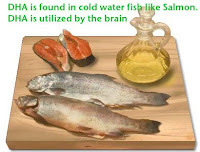 However, both Omega-6 and the Omeg-3 poly-unsaturated fatty acids EPA and DHA are needed for effective brain function. 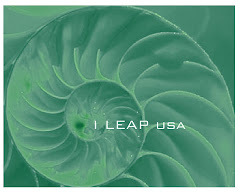 In the past several hundred years, the ratio of Omega-6 to Omega-3 fatty acids has changed dramatically from an original 1:1 ratio of our ancestors. Today the ratio of Omega-6 to Omega-3 fatty acids varies from between 20:1 in general to as high as 45:1 in some mother’s milk. Infant formula commonly has a ratio of 10:1, but until 1997 none of this was in the form of DHA. This changing ratio of fatty acids appears to have serious implication for brain function. This excess of Omega-6 fatty acids affects Omega-3 fatty acid uptake and metabolism, because competitive inhibition of the Omega-3s by the more abundant Omega-6s reduces the concentrations of Omega-3s available to the cells of the brain. Because of the far lower amounts of the Omega-3s, especially DHA, in most people’s diet today it may be important to take a supplement containing these fatty acids to optimize your brain function. Indeed, supplementing with Omega-3 amino acids has been shown to increase the speed of nerve conduction and visual acuity, thus helping children with their physical coordination and reading. One condition that may result from or is definitely exacerbated by fatty acid deficiency, especially a deficiency of the Omega-3 fatty acids EPA and DHA is Attention Deficit Disorder (ADD) and Attention Deficit Hyperactivity (ADHD). Children and Adults suffering from ADD or ADHD and dyspraxia (poor motor co-ordination or clumsiness) have been shown to improve when their diets have been supplemented with EPA and DHA from fish oils. While the Omega-3 fatty acid, alpha-linolenic Acid (ALA), found in flax seed oil can be converted into EPA, and then EPA into DHA, this conversion is usually inefficient for most people, especially people with ADD and ADHD, and fish oil supplements have been shown to be superior to flax seed oil in improving ADHD symptoms. Good nutrition supports brain function.